A fabulous original Star Yacht SY/3 vintage toy sailing boat from the iconic English maker Star Yachts of Birkenhead. 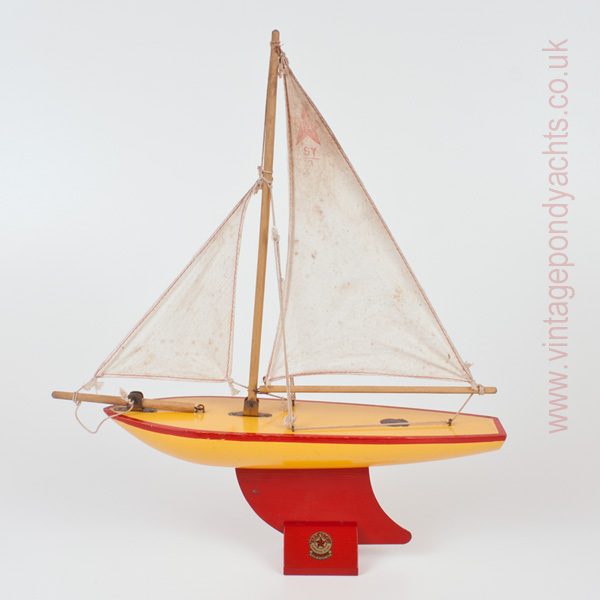 Sail it in the local park or brighten up that corner in your bathroom! 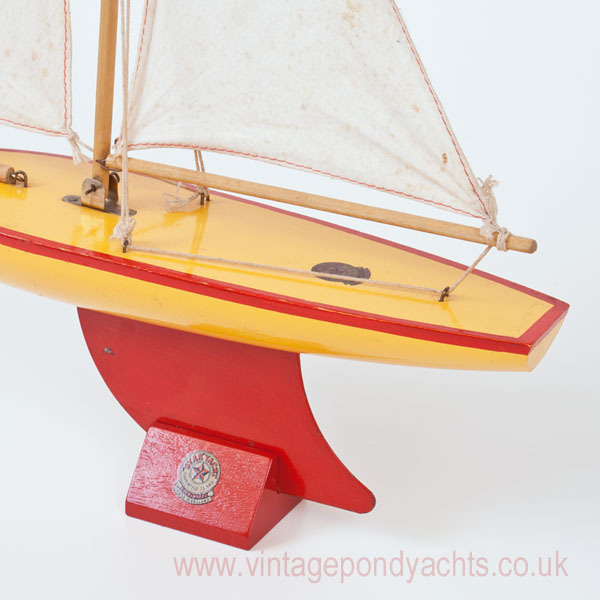 Yacht comes complete with one of our popular reproduction Star Yacht display stands. 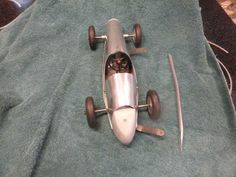 Star Yachts are renowned around the world for their fabulous range of model sailing boats and were in production from just after the first world war right up until the sad demise of the company in 1990. Over the years they produced many different variants, each one proudly displaying the company’s decal – “Made in England” and “Guaranteed to Sail”. 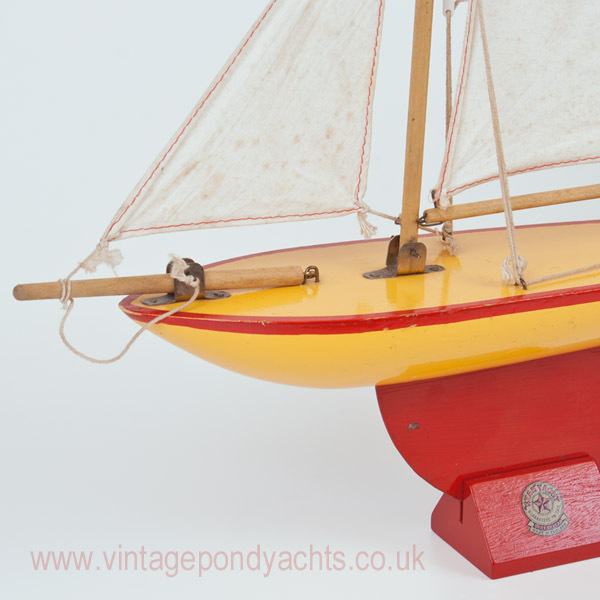 This SY/3 model is in remarkable condition, the original factory red over “canary yellow” paintwork is virtually unmarked, aside from the smallest amout of rubbing at the very tip of the bow, while the metalwork is superb and the original deck transfer is undamaged. 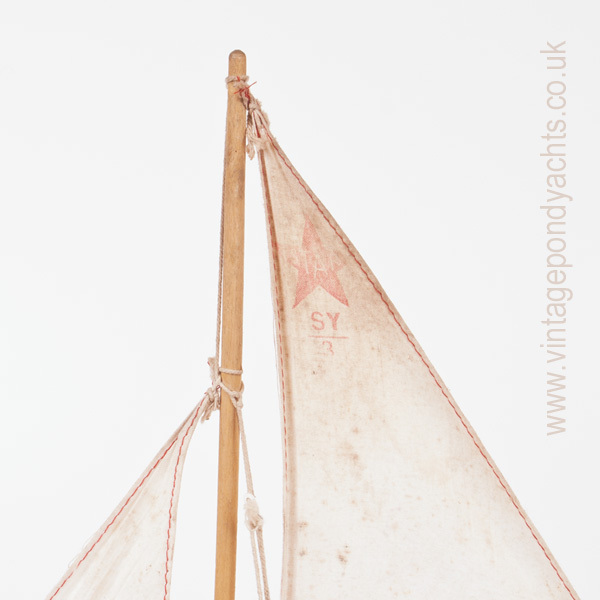 The sails have weathered beautifully, they have a few age related marks that add to the charm of the piece and, importantly, they have no rips or tears. The “STAR SY/3” logo on the sail is very faded but legible while the cotton itself shows no signs of deterioration. 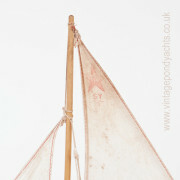 Another nice detail on this particular model is the red stitching to the hems of the sails. The overall dimensions of this yacht are approximately 40cm (15.75″) long and it stands 48cm (19″) tall.